LAWRENCEVILLE, GA. – OCTOBER 27, 2016 –– Source Support Services (Source), a world leader in the delivery of IT services, today announced it has appointed Steve Snyder as its new chief financial officer. He will be responsible for overseeing the company’s finances, positioning the company for success and steering the company through the next phase of its growth. Snyder comes to Source with over 30 years of experience in senior financial management positions at technology product and service companies. 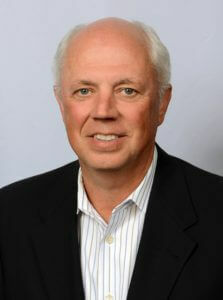 After starting his career with the public accounting firm of KPMG, he has accumulated nearly 20 years of experience as the CFO of several public and private high-tech companies: Digi International (NASDAQ: DGII), a manufacturer of computer network devices and cloud services; Gearworks, Inc., a SaaS workforce management company; X-IO Technologies, a manufacturer of storage arrays, and Ancor Communications, a Fibre Channel network switch developer and manufacturer that was acquired by QLogic (NASDAQ: QLGC). He also has extensive experience in preparing companies for major financial events such as taking on investments, mergers and acquisitions. Snyder joins Source’s senior leadership team, along with John Trautwein (president and general manager of sales) and Mike Stolz (chief operating officer) who joined earlier this year. Along with these leadership additions, the company also launched a new website, developed new branding and refined its services offerings in an effort to continue the rapid growth it has enjoyed in recent years.